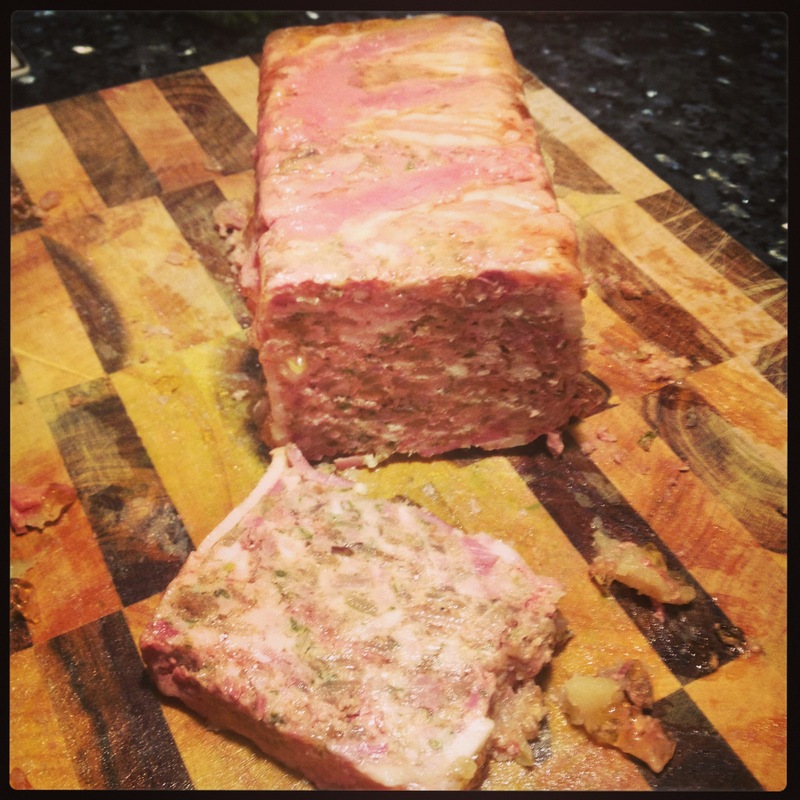 Terrine and patés have been around for a very long time. Egyptians used to fatten geese with dried figs and use their fat oozing organs like the liver for example to make patés and terrine. Paté became very popular in France around the 15th century. By the 16th century the fattened goose liver paté, paté de Perigeux paté de la Contades was very popular. The pate de La Contades originaly contained no truffle until 1789 when a chef from the Perigord in the south west of France arrived in Strasbourg and introduced the concept which still continues today. Patés are a spreadable paste of meat, herbs, spices, wine or liquor and served with toast for texture. Terrine is a glazed terracotta mould often of oval shape. Terrine mixture are chunky and consist mainly of feathered game such as quail, pheasant and venison, the mixture are then baked. 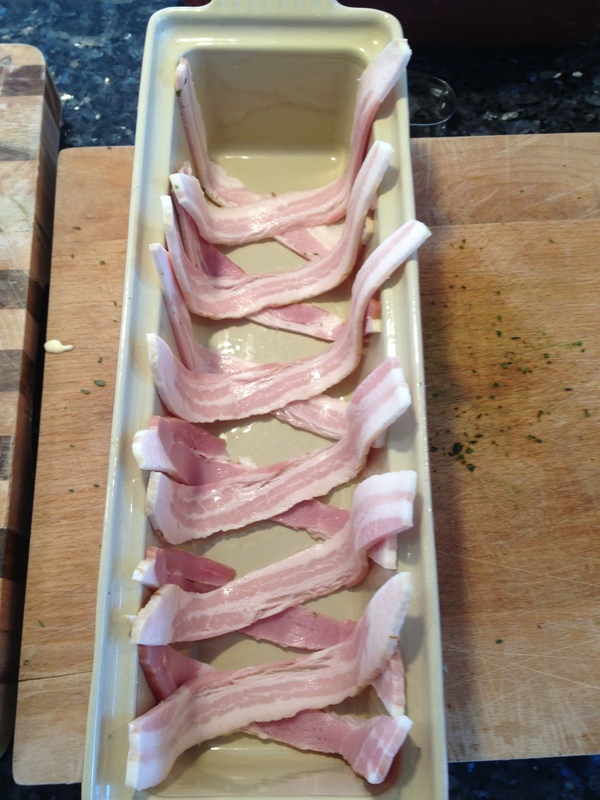 The fat on top preserve the terrines and prevent them from drying out on top. Method: Preheat the oven at 180 degree celcius• Mix together the sugar, rum and port together in a small bowl, stirring the sugar until dissolve• Heat the olive oil int a pan, add the onions, garlic, shallots and chanterelles mushroom ( soaked in warm water if using dried mushrooms), cook over low heat stirring occasionally for about 10 minutes until lightly brown• Stir in the rum mixture, heat for a few seconds and ignite• When the flames have died down, cook until caramelized then remove from heat. Mix together the meat, eggs and cream. 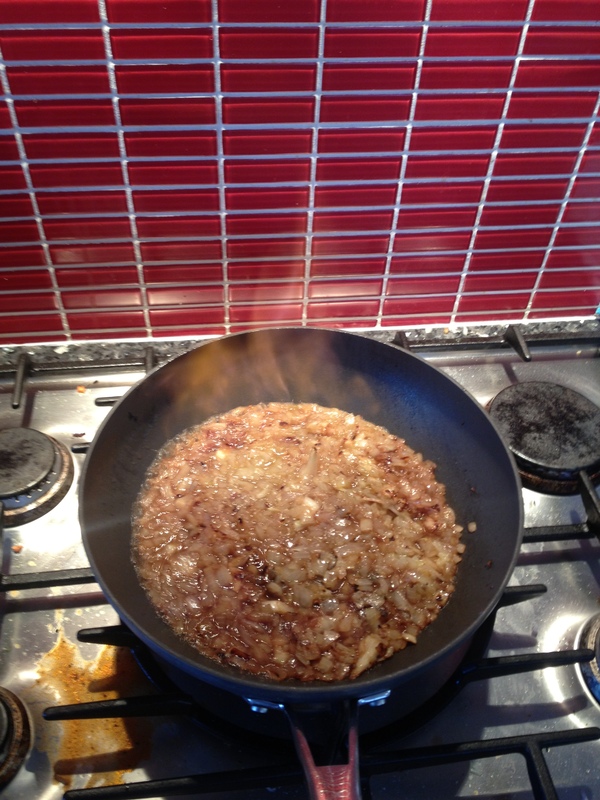 Add the onions, shallots and garlic and season with salt and pepper. Mix the chopped parsley with the thyme leave and stir in• Make a lattice pattern (cross)at the bottom of the mould then spoon the mixture in the terrine mould put the bayleaves on top and repeat the pattern on to finish• Put the terrine in a roasting tray, pour in boiling water to come about half way up the sides and bake for two hours. 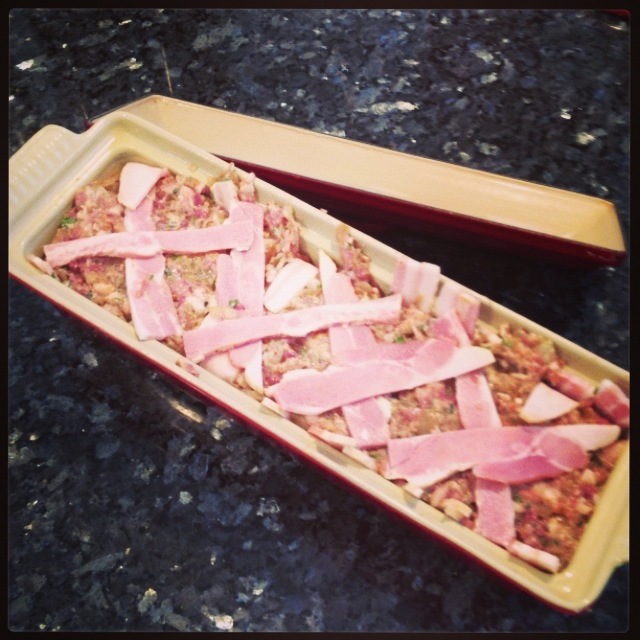 Leave the terrine to stand for 48 hours before serving. 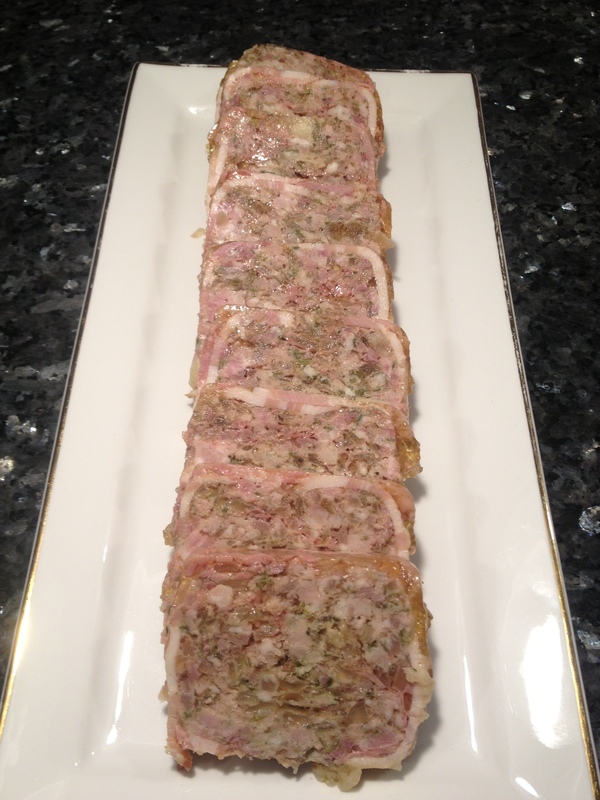 You can enjoy this terrine with a fresh baguette, fig bread, cornichons or other pickles.